From 1920 though 1922 Forbát worked with Walter Gropius and was a lecturer at the Bauhaus in Weimar. Forbát was the one who encouraged and recommended the school to his fellow Hungarian Marcel Breuer. After a short time in independent practice, he served from 1925 to 1928 as chief architect of Berlin's contractor and promoter Adolf Sommerfeld. In 1926 he joined The Ring. 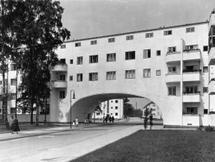 In 1929-1931 he was the co-designer, with Walter Gropius, Otto Bartning, Hugo Haring and Paul Rudolf Henning, of the Ringsiedlung Siemensstadt Housing Project, Berlin-Charlottenburg-Nord, Charlottenburg-Wilmersdorf . Forbát's contributions are Goebelstrasse 2-10 and Geisserpfad 11-19. In 1930 he also designed the Mommsenstadion in Berlin-Charlottenburg. In 1928 Forbát received a commission from the Russian government to build communal housing for foreign civil engineers. This was never built, but the commission led to Forbát's move to the U.S.S.R. in 1933 where he joined the so-called May Brigade, associated with Ernst May a group of Social Democratic architects exiled from Germany and promised vast amounts of urban-planning work for the emerging Soviet Union, work that never quite materialized. By some accounts Forbát contributed to May's ill-fated super-plan for Magnitogorsk. In 1938 he briefly returned to Hungary as a free-lance architect, and was responsible for a number of tenements and free-standing houses there. Later that same year he traveled to Stockholm, where he began a long term association. He worked for the Urban Ministry, then became a member of the Stadtplanungskommitee "Eglers Stadsplanebyrå". 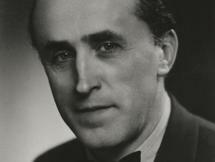 Forbát was at least partly responsible for master plans for the Swedish cities of Skövde (1949), Landskrona (1951), Kullabygden (1959), Linköping (1967) and Kristinehamn. In 1952 Forbát was co-organizer of the 1952 special (non-congress) meeting of CIAM in Sigtuna (Sweden), and also helped organize the 1957 Interbau project in Berlin. 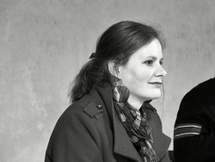 Forbát's papers are held by the Swedish Museum of Architecture in Stockholm.